Is it really worth it to fork out for a Vitamix Blender? What’s with the craze where everyone seems to need professional tools in their kitchen now? This is my honest Vitamix review where I share the pros AND the cons of investing in a Vitamix Blender so you have all of the information you need to make a truly informed decision. If you don’t have time to read the full review, this is the model of Vitamix that I own and love, have been using for over 8 years every single day without any problems. Click here to see what other people think of it. For homemakers and individuals who spend most of their time in the kitchen, price is an important determining factor in deciding which tools and appliances deserve a spot on the countertop. This is because the asking price of this equipment may more or less reflect the kind of performance that is expected from them. The same can be said about blenders. I’ve had my Vitamix for over 8 years now. I was so hesitant to spend the money because I didn’t have much at the time. I’d heard so many raving reviews about how good Vitamix’s were that I decided it was something I needed to have in my kitchen. I’d blown up several cheap blenders trying to blend hard and frozen ingredients, and on one occasion while I was pregnant, I blended up some boiling hot soup (which is a complete no no, but I must have had pregnancy brain) and the blade fell out of the blender and all of the boiling soup fell on to my hand. I sat with my burned hand in a pan (couldn’t find anything else!) of cold water for the entire day as it was too painful to take out. I think I still have the scar! I was well into my smoothie and soup making at that time because I’d had a period of sickness and my health turned around and I lost a lot of weight when I switched to a healthy diet. So I used my blender more than once a day so I knew a good quality blender was a good investment for me. I didn’t have a big wad of cash to run out and buy a Vitamix, so I saved up all of my Christmas and birthday money and sold a lot of my old stuff on ebay to get enough money to buy my first and only Vitamix. This was the best Christmas present I ever got. I’ve got to say that I have never ever regretted that purchase and I Still use my Vitamix numerous times every single day. I’ve made pretty much all of the foods in this list in my Vitamix and I’ve found it very fast and easy. Once you get a Vitamix, you realize how fast it is to whip up healthy meals in minutes, that you instantly become healthier, your food becomes tastier and you are now known as a kitchen genius. Chopped Veggies. Do a wet chop by adding your veggies and fill the blender with water, pulse the blender on and off on the high setting about 3 times and all your veggies are chopped! This is a great way to make cauliflower rice. Thick shakes and smoothies. I wouldn’t have been able to build my entire website around the concept of blending up an entire meal containing hard ingredients like nuts and grains if I didn’t have a blender that could make them perfectly smooth for pretty photos) I call my meal replacement shakes, Green Thickies. Soups. You can even warm up the raw soups in the Vitamix so you don’t need to use the hob. This saves time, washing up and preserves the nutrients. Hot Chocolate. Warm this straight up in the Vitamix. Now hopefully you can see just how flexible the Vitamixes are compared to standard blenders that wouldn’t allow you to make most of these items without blowing up! OK so I’m obviously gushing about my Vitamix now. But it is my aim to be honest and balanced in this review. My Vitamix does have its flaws and I’m going to share the pros and the cons of my Vitamix here with you today. However, let’s get it straight: one blender may be the ultimate for an individual, while it may not live up to the expectations for the other. While price does give us an idea of which range of performance it belongs to, some brands may be misleading the buyers into thinking that they get what they pay for. This is why I have put together in this complete review both the advantages and disadvantages of using Vitamix blenders in hopes that it may help you decide which model is worth dipping into your funds for. Vitamix blenders have deservedly won the hearts of many kitchen warriors for their high-quality performance. 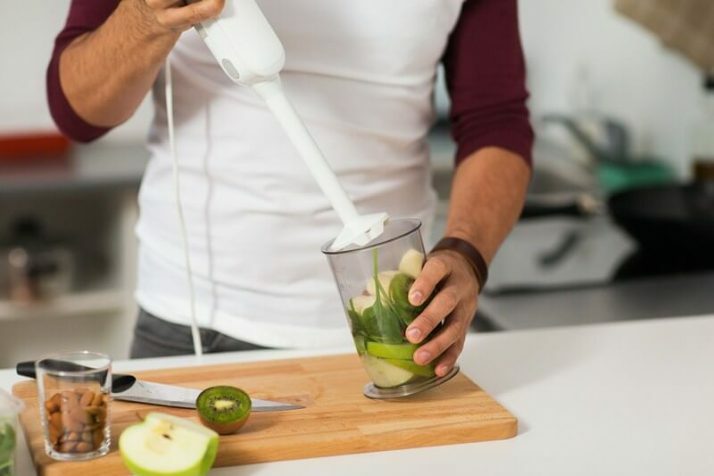 But if you’re new to this whole blender arena, you may find yourself distracted by the makes, the functionalities, the bells and whistles—virtually everything that accounts for your budget. So here you go, the ultimate Vitamix blender reviews that can provide you with the info on each best-selling model from this leader in food processors and kitchen equipments. This is the model of Vitamix that I own. However this model has improved over the years, so I didn’t get some of the functionality that the newer versions now benefit from. This blender model comes with 64-oz. capacity and stainless steel blades that cut through most soft ingredients AND still performs well for grinding beans, nuts and grains. But the crowning glory of Vitamix 5200 is not in crushing, but in blending smoothies to a topnotch texture and consistency. Meaning, it is a best tool for liquefying fruits, vegetables and harder foods at a rate that pulverizes your ingredients into oblivion. This also makes it suitable for making soups that require specific heat ranges to be cooked to perfection. At 1,380 watts, it is a powerful force that can crush, grind, puree, and blend efficiently. However, this is not to say that it is the best out there. That said, the 5200 is still a little noisier compared to its counterparts and its height may be a trade-off for its performance. It stands at 20.5 inches tall—the whole assembly—which means you need to have a high cabinet space to fit it in. Mine sits next to my cabinets, not under them. Its multi-serving capacity also means that you need to adjust measurements when you’re planning to make just a single glass of smoothie. Sometimes I find that if I’m making a small batch of sauce or dressing, this blender is just too big and the blades won’t turn. But luckily Vitamix have solved that problem by providing us with a personal cup and adapter that you can purchase at an additional cost. See the Personal Cup and Adapter on Amazon. Overall, this blender is a good investment if you’re just starting out with blending recipes that are good for a family. It is also noteworthy that it prevents countertop clutter through its cord wrap feature—something to be thankful for if you have limited storage space. Backed with up to 7 years warranty, this Vitamix blender is like saying to you that it has confidence in itself to last for a long time. As I’ve had my Vitamix for over 8 years, I can see why they offer this guarantee, because their products are built to last and most of the time, you won’t need to use the guarantee. But it’s just good to know it’s there. See the Vitamix 5200 on Amazon. When it comes to professional-grade results, this Vitamix blender model doesn’t disappoint. It has powerful motor at 1,200 watts, with laser-cut stainless steel blades that spins at up to 37,000 rpm. And what exactly can you do at such performance level? Well, for one, it is versatile enough to handle meal prep demands such as blending, grinding, pulverizing, crushing, making hot soups and pureeing. But then again, all these tasks can be performed by other blenders in the lower end of the budget range. In other words, this blender may be pricey for a beginner, but definitely a no-nonsense model for an expert foodie who is adventurous in the kitchen. It doesn’t have the bells and whistles that you would typically get from blenders of the same price range, but nonetheless you can benefit from its simple dial operation that even a newbie in blending can easily figure out. So what makes this blender different? It works perfectly with your storage space by being 3 inches shorter than the rest of the Vitamix blender models; although it’s still the same 64-oz. capacity. As you may soon find out, Vitamix has been known for its slim and tall blender assembly so it helps that this particular model is rather a compact one. See the Vitamix 7500 on Amazon. Another Vitamix model that has a longstanding track record is the 6300 blender. Its defining features are the three presets namely smoothies, frozen desserts, and soups. 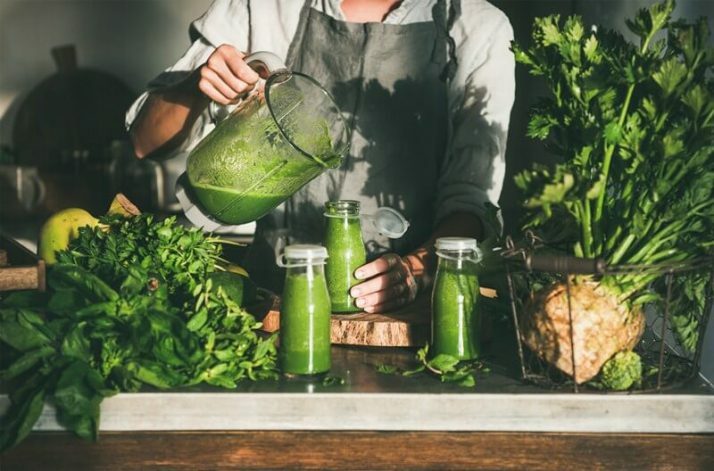 These intuitive programs take the guesswork out of blending your ingredients, which is beneficial for beginners who have little know-how of blending operations. Aside from the presets, it still comes with a pulse lever for when you want to control the consistency of your food. As suggested by one of its presets, this Vitamix blender model boasts of the ability to crush ice cubes efficiently with added grit as compared to its counterparts. This means that you can enjoy frozen treats at a preferred consistency and icy temperature. However, as with other blenders having the same powerful motors, the 6300 also produces noise. Other than this, its efficient performance without overheating is a good deal for its price. See the Vitamix 6300 on Amazon. This is a good investment if your aim is to replace nearly all the other food processors you have in your kitchen. Yes, it could replace those bulky kitchen monsters and make you save space, prep time and in the long run, even money. While the selling price may intimidate you, the assembly itself definitely would not. This is because of its intelligent features that aim to simplify complex demands in a speedy manner. As high-end as it may appear, Vitamix Ascent 3500 is more than just for show. Its LED display tells you about the blade speed and elapsed time, and also comes with presets in touch keys represented by icons for easier operation. When you’re done blending—or crushing, pureeing, grinding, chopping and making soups and coffees—you can run the blender on cleaning mode by filling the container with hot water and soap before pushing the button to start. The assembly itself is intelligently engineered in a sense that it allows the motor base to identify correctly which container is used to avoid accidents. As for the performance, it efficiently turns your hard ingredients into micro-size in a minimum of 5 pulses depending on your preferences. It also fits under your cabinets due to its wider jug. All in all, the A3500 Vitamix blender is a high-end choice for a meticulous kitchen warrior and anyone who would like to streamline their meal preparation while doing it with class. See the A3500 on Amazon. If you’re eyes are straining to find an affordable model in this heap of high-powered Vitamix blender models, then here is your chance to rejoice. The Vitamix E320 is among the two budget blenders in the E-Series which offers users the same versatility and power at a fraction of the price of its high-end cousins. If your approach to meal prep is minimalistic, this is the blender for you. Aside from the usual blender functionalities, the E320 can also make dough, batter and hot soups in its 64-oz wide container that is similar to the one the 7500 model has. The E320 has a variable speed dial and a pulse lever that aim to make blending a breeze even for a beginner. Perhaps the only point against its favor is that it’s not dishwasher safe. You have to clean it thoroughly by hand, although the whole blending experience won’t create a mess in your kitchen. As this is an older model, it is difficult to get hold of this Vitamix now, so you might be looking at a second hand blender if you opt for this model. Check out this quick video below about the E32o Vitamix blender. See the E320 Vitamix on Amazon. This model has the similar low-profile jar as 7500 and E320, although its main draw for users is its five presets that you can access via the speed dial. 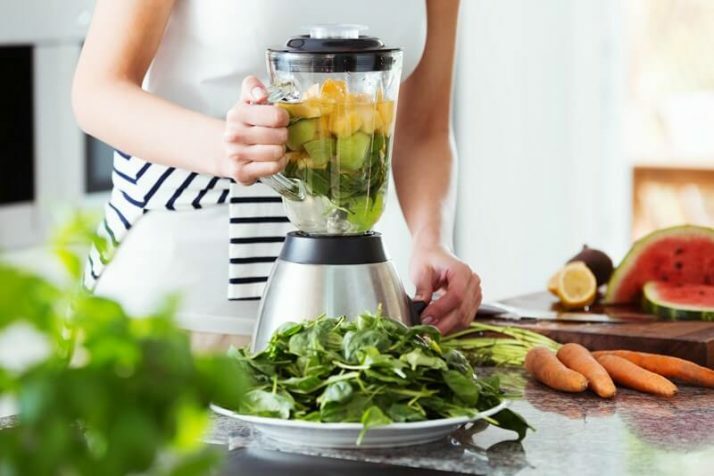 By turning the knob up to the preferred programming (Smoothies, Frozen Desserts, Hot Soups, Puree, and Cleaning), your blender will start working according to its programmed pattern of pulses and pauses. It does most of the duties of a high-end blender, only that the physical features aren’t as technologically advanced as its counterparts. Instead of touch keys, the dial knob serves as the controller for the blender assembly. This is a more conservative option compared to the Vitamix blender models that have such high-tech functionalities. And this Vitamix will also fit under your kitchen cabinets. See the Vitamix 750 on Amazon. If you’re a foodie who likes to entertain guests in the kitchen, you’ll probably want to impress them with a fully touchscreen functionality of this Vitamix 780 model. Yes, it is the first of the Vitamix blenders to incorporate full touch technology in its assembly, save of course for the toggle for on and off. It has the same five presets that simplify meal preps in a jiffy. But aside from these technologies, it also comes equipped with Next Generation blades which run on a quieter yet powerful manner. However, I understand that not many of you are fond of digital displays and controls. This model might not be for you if you prefer the conventional dial knob and levers for pulsing and blending your food. This model makes it very easy to pulse food if you are making salsas or chopping veggies, and it will also be a space saving device as it is shorter in height. See the Vitamix 780 on Amazon. There’s no doubt about it, you get what you pay for, and Vitamix blenders are expensive. If Vitamix blenders seem out of your budget, why not look into a refurbished Vitamix? 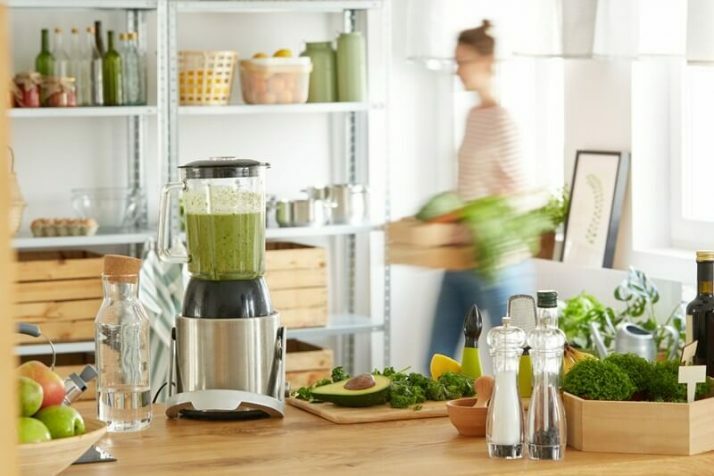 A few years ago, Vitamix announced the selling of their refurbished (Vitamix likes to call it “reconditioned”) blender models, which aims to cut down purchase expenses to up to a half the price of the current bestsellers. These refurbished blenders are carefully inspected and tuned-up to comply with market standards so they can be resold at a much cheaper price. You can get refurbished Vitamix blenders on Amazon at up to half the original price. Some of these blenders are actually unused. It might just be the box that is damaged. They have been inspected for quality and come with a 90 day guarantee which is a really good deal. See the refurbished Vitamix blenders on Amazon. How Long Is The Vitamix Warranty? On average, Vitamix blenders are backed with a 7-year warranty on blender motor and containers. 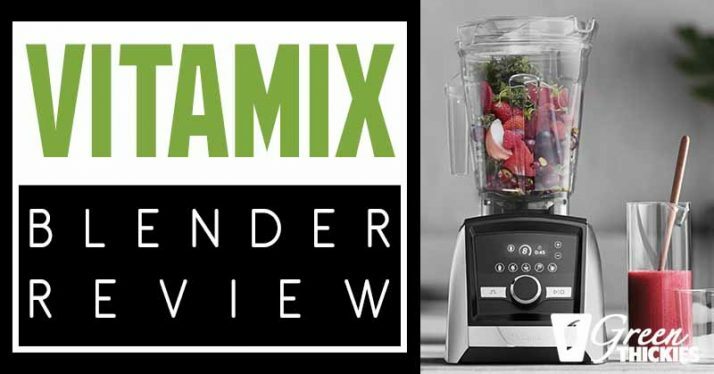 That’s quite a long period for something as trivial as a blender, but Vitamix has confidence in its products. Other high-end models from the brand may even have up to 10-year warranty covering labor, parts and shipping. The models that come with shorter warranty periods include the E320 unit among a few others, aside from the warranties Vitamix also gives to reconditioned and refurbished units. Vitamix Perfect Blend Smart Scale and Recipe App. This is the scale that walks you step by step through making smoothies and tracking the calories to help you lose weight. Vitamix Personal Cup and Adapter. 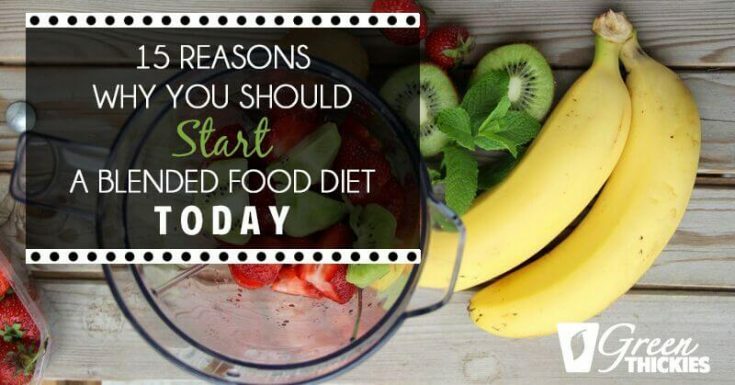 Turn your vitamix into a personal blender and blend small quantities of food. 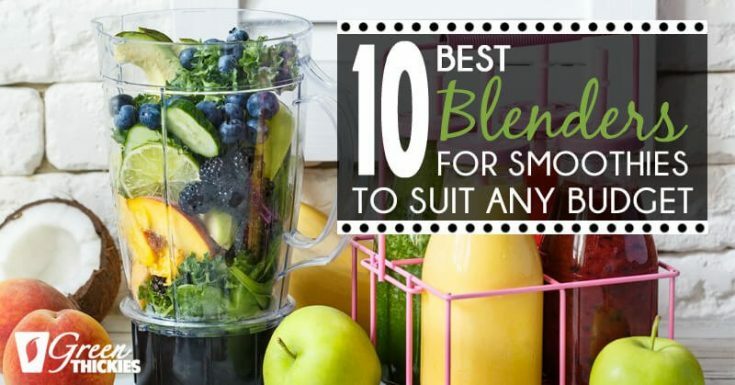 If you’re still not sure which blender is right for you, or you’re looking for a lower priced blender, check out my 10 Best Blenders For Smoothies reviews to find the best blender to suit your budget. And when you have your blender decided, you’ll be wanting to get yourself some smoothie cups so you can take your smoothies with you on the go. 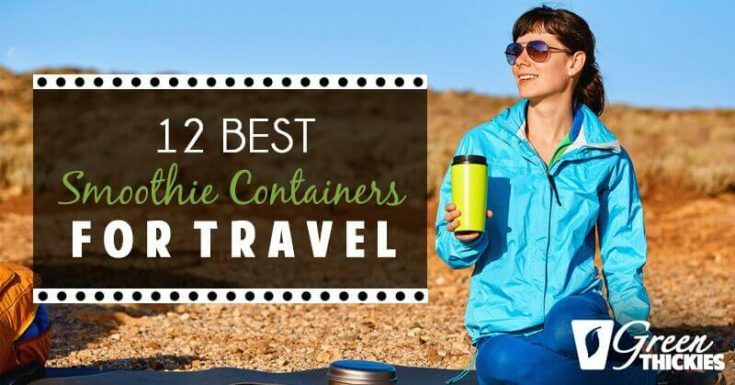 Check out my 12 Best Smoothie Containers for travel to find the perfect smoothie cup for you. 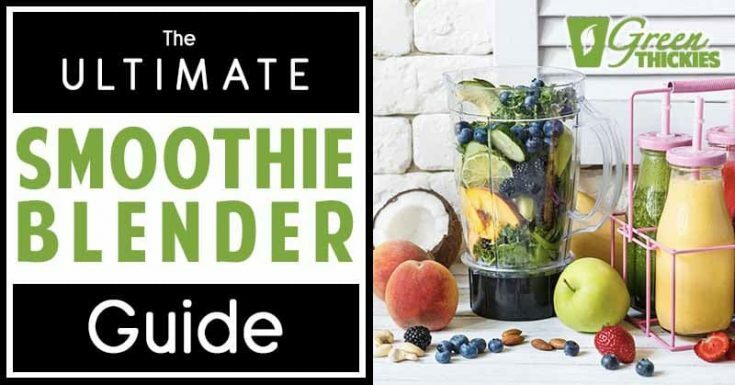 And if you’re looking for more tutorial on using a blender, and recipes you can make in your blender, you’ll want to check out The Ultimate Smoothie Blender Guide where I share ALL of my blender resources and over 50 blender recipes with you. Choosing the right Vitamix blender is more than just a matter of budget. There are also factors to consider such as capacity, technology and warranty that all contribute to the whole blending performance of the unit as well as your experience. I hope that you now know which model of Vitamix suits your taste. While it might cost you a lot to get one, think of this splurge as something that can return your investment in more years to come in terms of health benefits. My personal recommendation for Vitamix models is the version that I’ve owned and loved for over 8 years now. I use this model of Vitamix every single day and would definitely invest in another one exactly the same if I ever needed to. Click the link below to see the price on Amazon and to see what other people are saying about it. I recommend this model of Vitamix. Click here to check out the reviews. If you enjoyed this Vitamix Blender Review, please let me know your thoughts in the comments.